First off, I've been leading geology field studies trips to lots of places in the American West for 26 years. Second, I entered the digital age of photography in 2001, which led to a personal renaissance in picture-taking. I sometimes struggle to find new things to photograph when I visit a place for the 26th time, but in some cases it is not a problem. There are geologic changes that happen on a yearly basis, and with twelve years of photos, the changes become obvious. Highway 25 in the California Coast Ranges connects the town of Hollister with the access road to Pinnacles National Park (formerly Pinnacles National Monument). 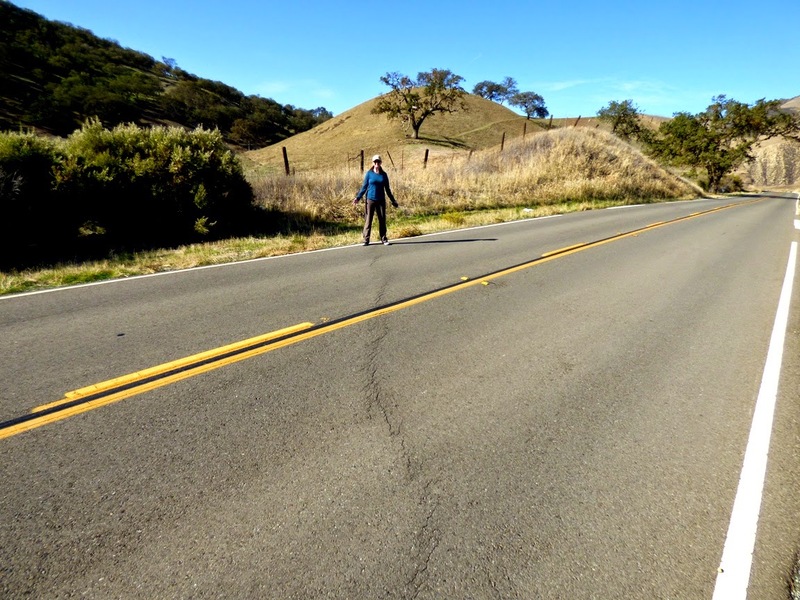 Along the way the highway crosses the San Andreas fault in a section where the fault creeps an inch or two each year. Most years we've stopped to have a look at the effect the movement has on the pavement. In 2002 and 2004, the damage was obvious. Little damage was evident in 2009 either. 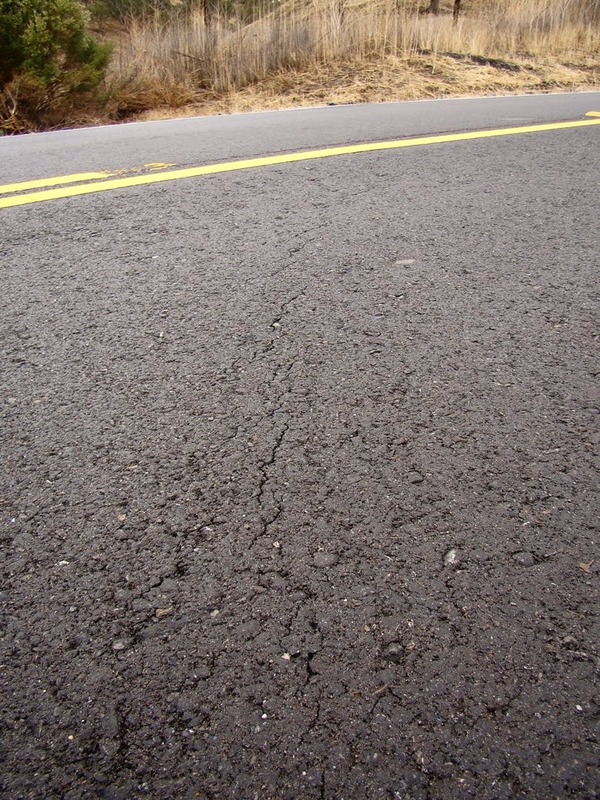 But by 2010 en echelon cracks had begun to appear as the fault stressed the pavement. 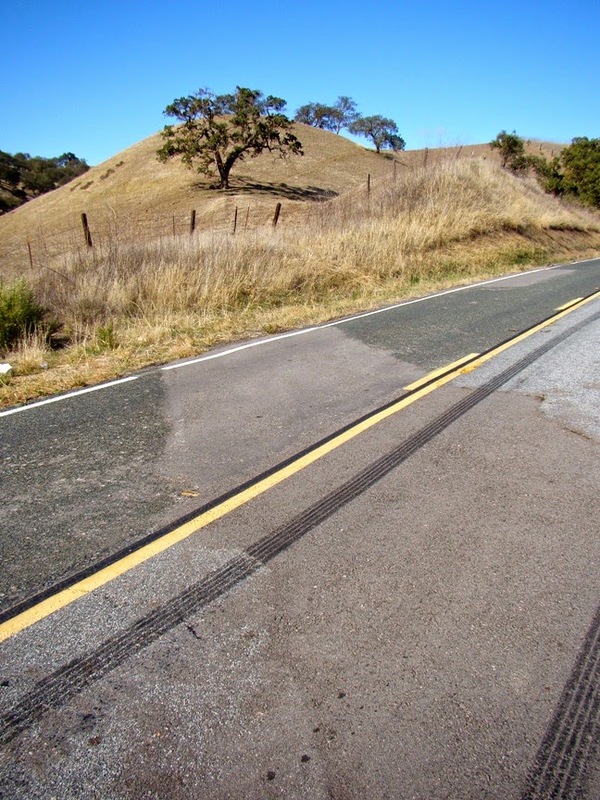 And the rubber marks for the hard brake in 2009 had almost faded. 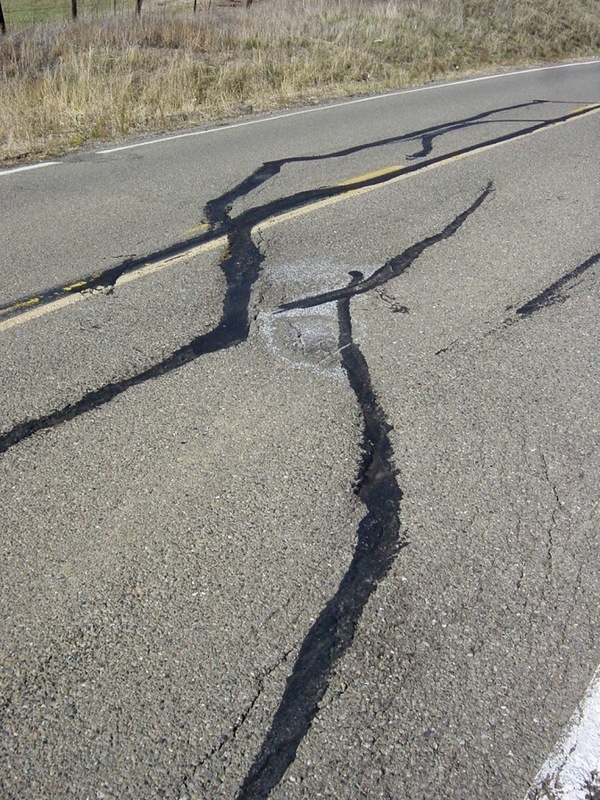 I'm guessing another geologist saw the fault and hit the brakes. I did the first time I saw it! These changes that happen at a rate visible in human lifetimes add up to huge changes when multiplied by thousands or millions of years. The nearby eroded volcano of Pinnacles National Park has been displaced 195 miles (315 kilometers) in the last 20 million years or so by movement along the San Andreas. Great photos, Garry. Nice helper, too! These photos make the creeping motion so clear. As for being prepared... a big challenge! Thanks for posting these. Garry- that is a superb demo... thank you! 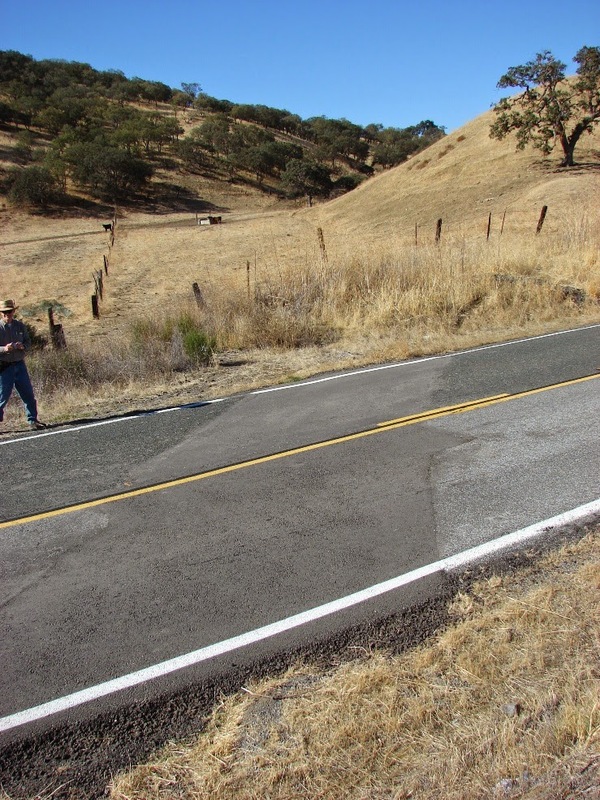 At the base of the small slope that leads up to the San Juan Bautista Mission is/was a series of bleachers adjoining some sort of rodeo arena. 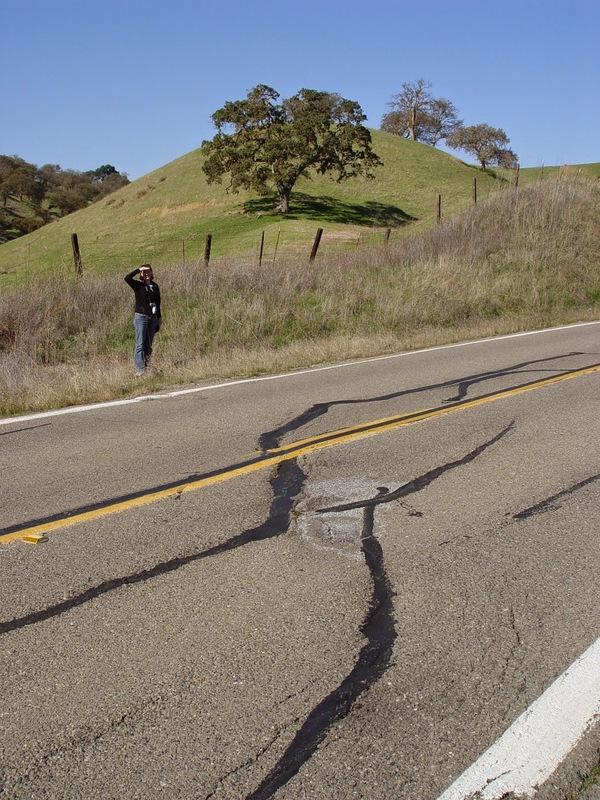 I recall standing there once looking at what I suspect in the San Andreas Fault line -- a substantial crack in the soil extending the length of the bleachers. I believe it's been an epicenter more than once. Very cool to be able to document geologic changes visible over such a short time. I love to see evidence of shearing anywhere! Great human scale, btw. Thanks Nina. That's @Xeno_lith, our mutual friend, of course. We are supposed to take you around if you ever reach our part of the Central Valley! Thanks everyone else, for the kind comments! Could you kindly post coordinates for the dated series of photos? 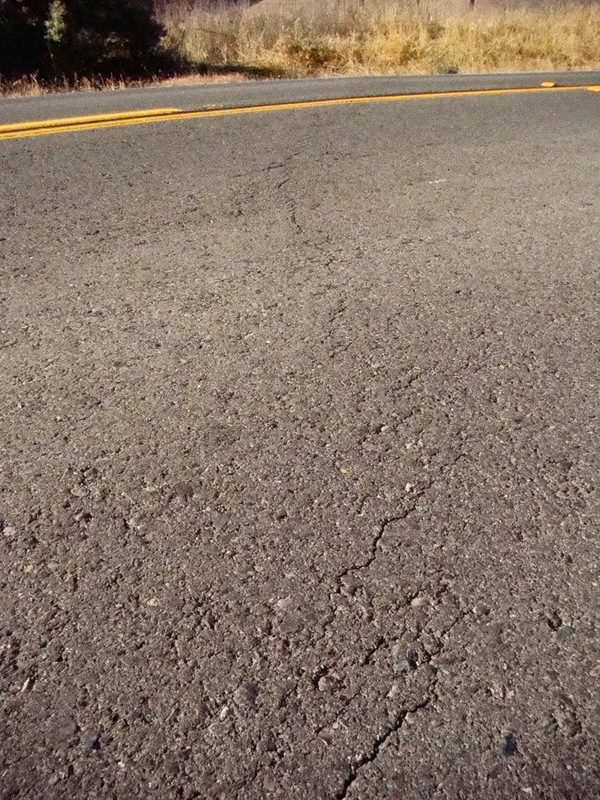 I've "driven" this road in GE, and I've found several instances of en echelon cracks in the pavement that are aligned with the fault as visible from above, but I haven't found this exact spot. Thanks. Could you kindly post exact coordinates for the series of dated photos? 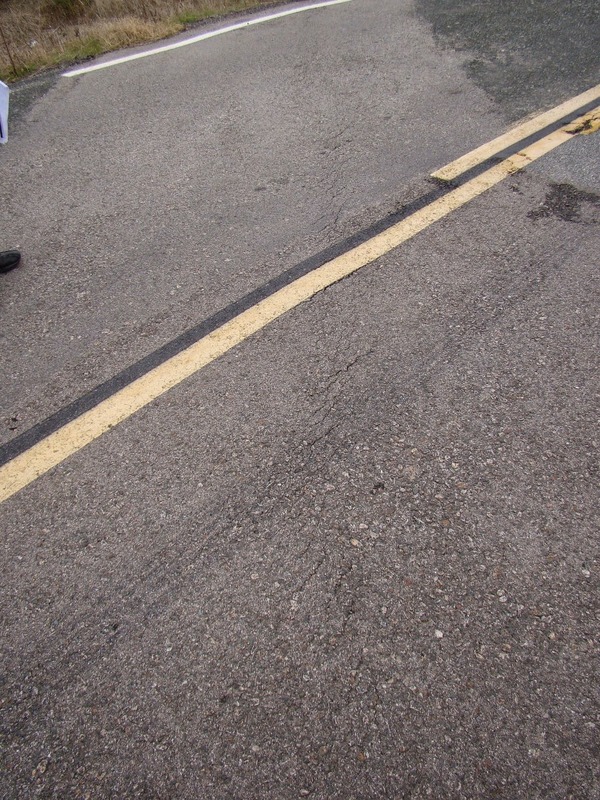 I've "drive" GE along this stretch, and I've found some patches of en echelon cracks that are aligned with the SAF as seen from above, but I haven't found this exact spot.